Default interest should be fixed by law and vary for citizens and legal entities offer MPs from the Reform bloc Villas Lilkov, Petar Slavov, Martin Dimitrov, Radan Kanev, grapes Karadjov Boris Stanimirov and Atanas Atanasov. They have imported a project for the Law of Obligations and Contracts (LOC). Reformers proposal is to create a new paragraph of Art. 86 and in her to write: "the statutory rate under par. 1 when due from the trader may not exceed the base rate of the Bulgarian National Bank plus 8 percentage points and, when payable by an individual - basic interest rate plus 4 percentage points. " 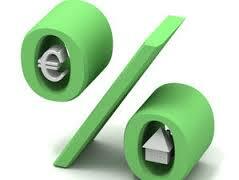 Currently the rate is base rate plus 10 points and is defined by a decree of the Council of Ministers. I.e. proposal of deputies of the reformist bloc is not only to introduce different interest rate according to the quality of the debtor defaulting, but it will generally be reduced. "Allowance payment of arrears of over 10% is fixed in our more than 20 years in a completely different economic and financial environment - economic instability, high inflation and correspondingly higher base rate of the Bank. The detention of default interest on those high levels today, when interest rates of banks with close to zero, determines the nature of default interest is not as compensation but as sanctioning. Moreover, the uniform rate of interest on arrears for individuals and commercial entities puts them at a disadvantage and not in the spirit of the law that applies in some European countries, namely the interest rate to be differentiated, "explains importers reasons. They state that in the EU was adopted size of no more than 8 percentage points as allowance and refer to Directive 2011/700 / EC. "A huge number of cases of payment of arrears by individuals and companies to banks and operators of public services where even small debts after a long trial (as is usually the practice in Bulgaria) could become amounts unaffordable return, suggesting often bankruptcy Vendor debtor or falling into complete deadlock and despair debtor-natural person. Most often individuals who are victims of such bad practices have small family businesses, seniors, pensioners and poor citizens who ignore kept against their own share of the so. called. monopolistic firms in district heating, electricity distribution, etc. and as a result are often brought to the need to pay amounts greatly exceeding the original debt and therefore to despair " says the statement.